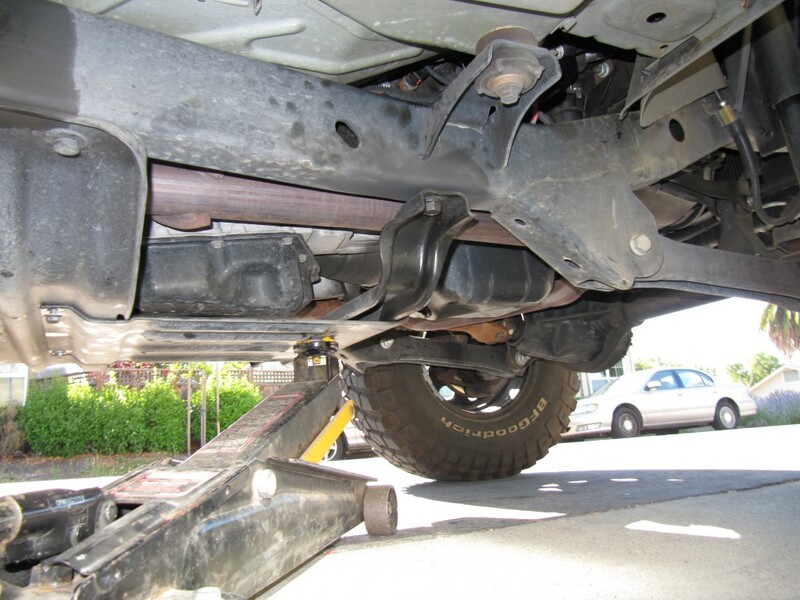 Place something under the skid plate to hold it up so it doesn’t fall to the ground. 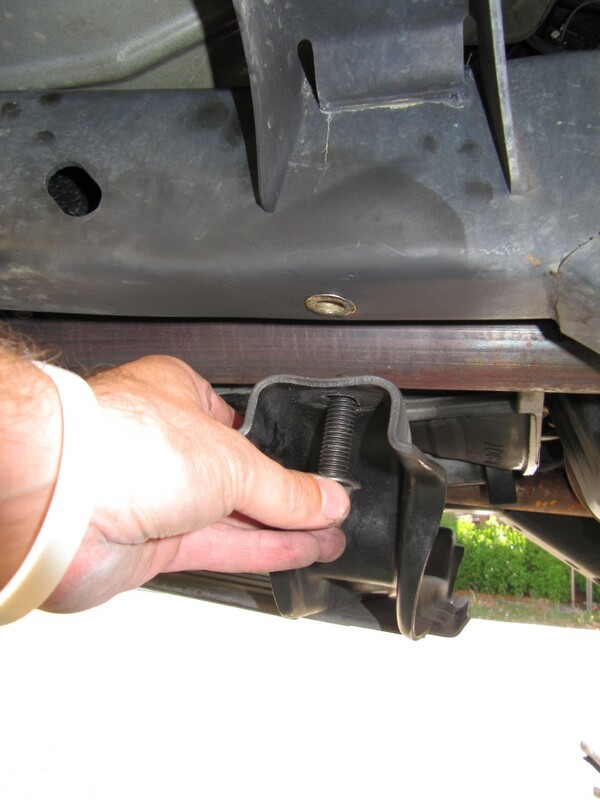 Remove the 2 bolts attached to the transfer case skid plate. Remove the 2 bolts attached to the Jeep Wrangler frame rail. The skid plate can be removed. To install it again you will just do the same thing in reverse. I would suggest again using something to hold it up while installing the bolts as well.